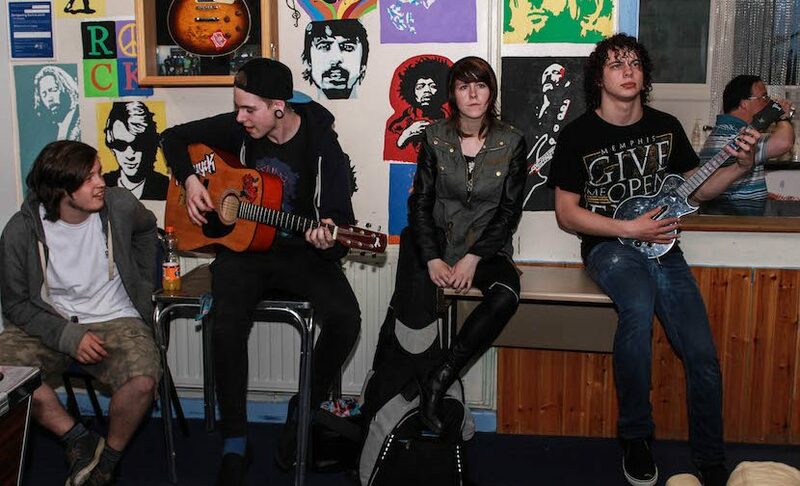 Livewire provides support to young people through music and traditional youth work, helping them develop socially and emotionally in a safe and supportive environment. The charity works with young people aged 10-21 in Cornwall, Plymouth and South West Devon, addressing issues such as self harm, low self esteem, eating disorders, family and personal relationship issues, sexual health and drug and alcohol issues. It provides open access sessions three times a week, offering a safe environment for vulnerable young people to gain the skills and confidence needed to develop to their full potential. These sessions offer professional support and referral advice to young people for personal and financial issues, alongside tuition, opportunity and encouragement in the field of music to increase their confidence and improve employment opportunities. Brian Johnson (AC/DC) is a patron of Livewire, while Pete Townshend (The Who), Jimmy Page (Led Zeppelin), Mick Jagger (The Rolling Stones), Lemmy (Motorhead) and many other musical icons have professed their support for the charity. Sound engineer, Sam Walsh, found his dream job through Livewire. As a teenager he was experiencing social anxiety and a lack of direction, but took part in Livewire’s music lessons and later became the charity’s sound engineer. He was spotted by Martin Barre (legendary guitarist from Jethro Tull) and offered a role as his front of house sound engineer on tour. Global’s Make Some Noise is proud to support Heart ‘n’ Soul: a mental health service designed to address the growing need for support in the local area. It is hoped that this programme will lead to improved social and personal development, greater confidence, resilience and self-esteem, and a reduction in harmful behaviour amongst vulnerable young people.